NOTE: The Picture above is the pickup with the Classic F'Tron Cover, below is the optional H-Gate available in Chrome, Nickel or Gold. The more rounded Filtertron covers only work with 50mm string spacing. After looking at modern variants of the old Filtertron style pickups, and wanting to design my own range of Humbucker sized Filtertron style pickups, I came up with these - introducing the Black Cat - Humbucker sized Filtertron style pickups. A reduced number of offset winds on each coil provide the extra brightness. The thicker Alnico 5 magnet helps keep the attack but being stronger due to their 1/4" height, the magnet boosts the output of the lower windings on each coil to give great volume & brightness. 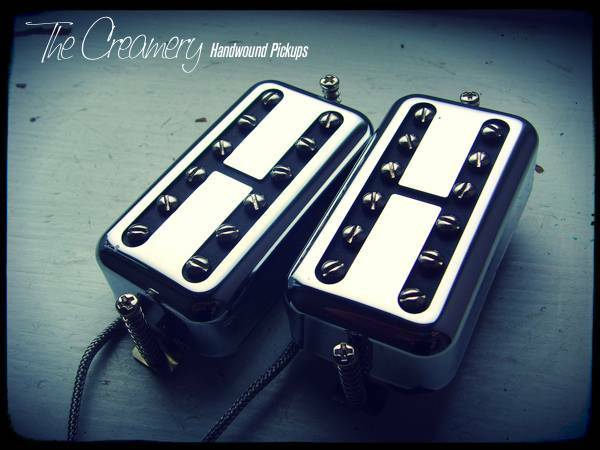 A real spank & twang to these Humbucker sized Filtertrons. The H-gate chrome covers give that 'retro' look. Currently, the brightest pickup in the whole Creamery range. The Humbucker sized Filtertron style bridge pickup is Jangly & bright, but designed to break up the amp at gain for a biting attack. My modern interpretation of the old classic Filtertron pickups of yesteryear in a standard humbucker size. 12 Pole screws for individual string balance give you the option to follow your neck radius and define your own tone. The Neck pickup has a sweeter voice due to its position but still with the brightness needed from this kind of pickup. A hotter, overwound version of the original Black Cat pickup. Still with the classic bright tone but with an added fatness with more in the mids. The neck pickup adds a sweet warmth to the brightness. 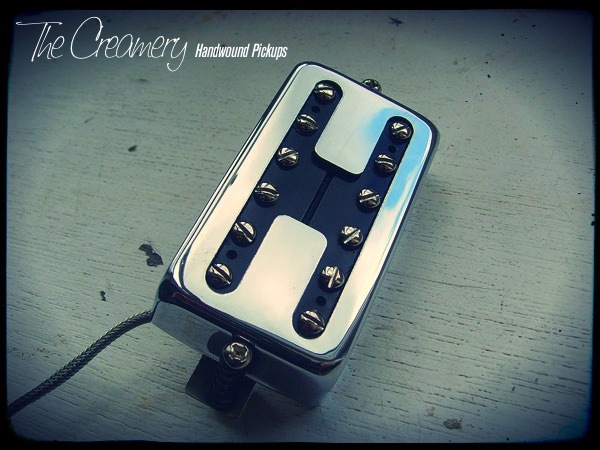 You can find more details of my Creamery Custom, Handwound Black Cat Humbucker Sized Filtertron Design Pickups here.